I will tell you what is in their heart, mind, and soul ... Clear and effective, yet heartfelt, I give honest, accurate, psychic advice! 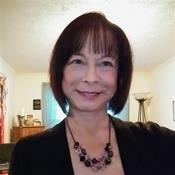 CREATOR OF THE TIMELESS TAROT AND THE NOW LENORMAND - TaraWinstanley.etsy.com ! *Thanks to everyone who have left me five-star ratings! You can't imagine how much this makes my day. The similar feeling for you would be getting a raise, promotion, or an excellent review at work. Love to all !!! Tarawyn has been a user of Keen since 2011. Getting Love & Relationships advice from Tarawyn through www.keen.com is safe, secure and confidential.